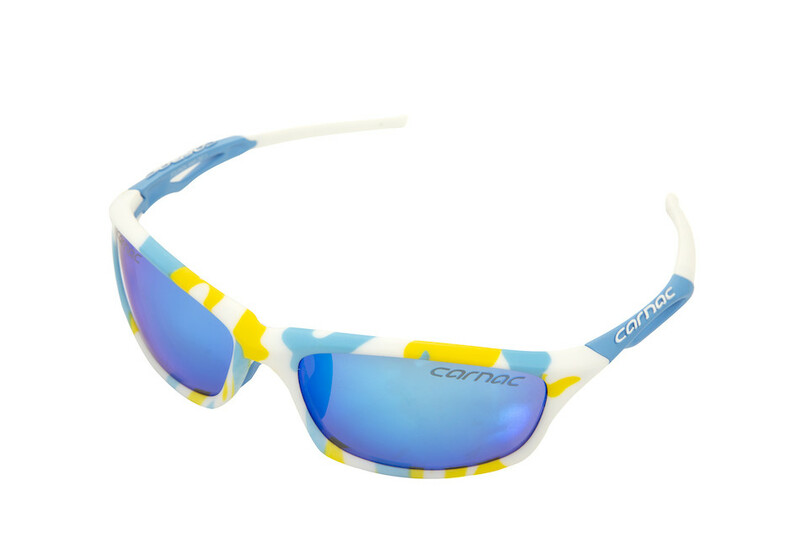 Designed for the cycle racer who wants protection and comfort Carnac's new Equinox cycling glasses offer essential ANSI rated impact protection and UV defence. A minimal full frame design offers excellent periphery vision. Shaped to mimic the human field of view Carnac's Bi-Ellipsoid lens shaping ensures minimal optical distortion right to the edge of the lenses. Twin-Shot moulding combines a tough yet pliable TPR frame with grippy hydrophilic arm sleeves. Each side of the wired nose bridge is independently adjustable, so you can dial in the perfect fit to ensure that the Equinox stays put no matter how rough your ride. 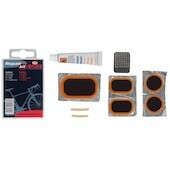 The Carnac Equinox cycling glasses come in their very own micro fleece lined, hardshell bottle box. Offering ANSI approved impact performance alongside excellent UV protection, great fit and adjustability the Equinox is ready to race. Grab a pair and hit the road. To refit lenses: 1. Gently push the top edge of the lens into the frames so that it is seated along the entire edge. 2. Using each thumb push the bottom corners of the lens into the frame. 3. Roll the lower edge of the frame up and back over the middle of the lens. 4. The lens should seat with a satistfying pop. Check the lens is fully seated in the frame before wearing. Lens removal and refit video. UV protection for your eyes never looked so good. Carnac's RSF sunglasses are a modern take on the classic flat fronted sunglasses. Through-pigmented frames contrast with mirrored REVO, photochromic or hi-intensity lenses. Perfect for styling it out on your bike, at the coffee shop, at the beach or even driving with the rag-top down. Mirror REVO, Photochromic or Hi-Intensity versions. Microfibre bag and hardshell case. Northwave combine advanced MTB shoe features with proven trail shoe design to create the Outcorss MTB shoes. Integrated heel hold down cradle. Truly innovative, lightweight carbon fibre mountain bike handlebars, available in two levels of stiffness for different riding styles. Yes, really! Choose between 'Chewy' or 'Hard' to suit your perversion! Built for competitive athletes and seriously active commuters the Planet X Race Pack is perfect for carrying your event and work essentials. There's space for all your swimming and cycling gear and all the clothes you'll need for a day in the office.